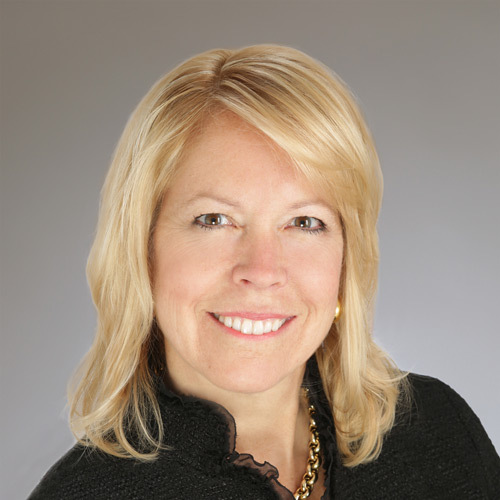 Carrie is the CEO and Managing Director of Phoenix Strategic Advisors. She has over twenty-five years of experience serving the consumer products, retail and private equity industries and was named one of the industry’s top twenty-five consultants, and one of the top three retail consultants in 2013 by Consulting Magazine. She specializes in helping boards and C-level executives accelerate value creation by setting robust growth agendas and aligning the organization for growth. Most recently Carrie served as President of AMG Strategic Advisors, a $15 million insights and marketing strategy division of Acosta Sales and Marketing. She was also the co-founder of two award-winning consulting firms Archstone Consulting and Griffin Strategic Advisors – both winners of the Seven Up and Coming Jewels by Consulting Magazine – and served as a senior partner with two global consulting firms: A.T. Kearney and The Cambridge Group. Carrie has also published numerous articles on accelerating profitable growth in leading business journals including WWD, Retail News, Retail Weekly, HBS Blog, Fortune, CMO.com, etc. and serves on the Board of the Joffrey Ballet, Botanical Gardens Conservation International and the Lake Forest Open Lands Association. She earned an MBA and a BA from The University of Chicago. Annette has over 25 years of consulting experience focused on developing strategic, functional and administrative solutions that drive growth, retention and cost savings with a particular emphasis on human resources, outsourcing and organizational design. Most recently, Annette was a partner at Hewitt Associates where she held senior-level positions in both the US and Europe, including an 8-year expatriate assignment in Belgium and The Netherlands. Annette’s past experience includes a position as a Certified Public Accountant. 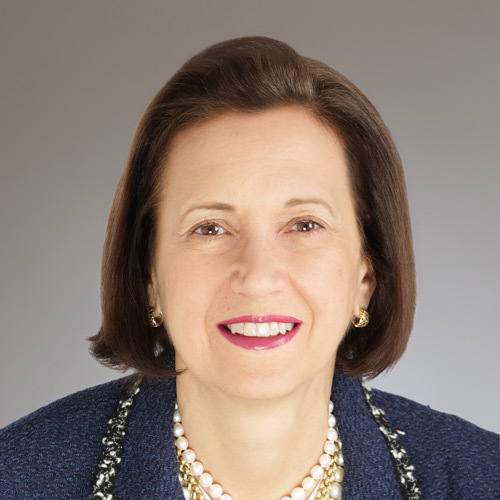 Annette has taken leadership roles at several non-profit Boards, including The University of Chicago Cancer Research Foundation Women’s Board (where she was the 2015 Gala Co-Chair), ARZU Studio Hope (Corporate Secretary), and the Lake Forest Symphony (2014 Gala Co-Chair). 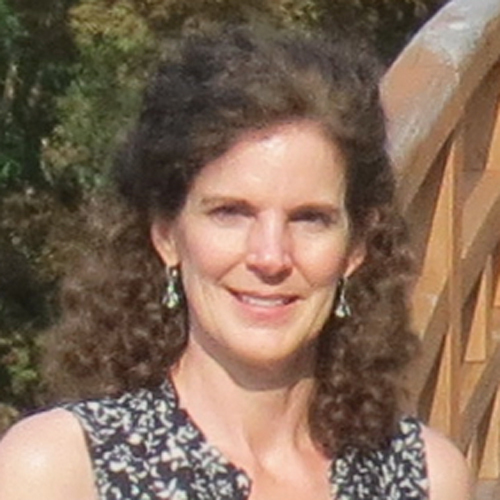 Annette earned an MBA from The University of Chicago and a BBA in Accounting from Kent State University. 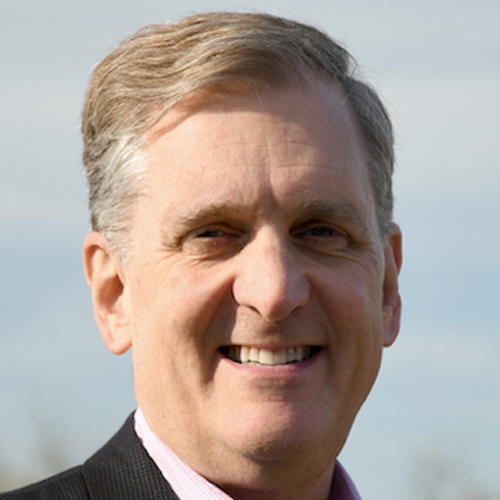 Rowan has over 25 years of experience in strategy consulting and operations. His consulting work includes growth strategy, strategic planning, valuation analysis, and implementation plans. Rowan’s operational background involves information technology, budgeting, planning, purchasing, treasury, and contract responsibilities. Rowan’s experience includes President of Carroll Resources Corporation and Senior Consulting positions in leading strategy consulting firms in the US and Europe, focused on creating sustainable growth. He has also worked for a large credit card firm active in card issuance and payment services where responsibilities included oversight of selected pricing and reporting functions. Rowan has worked extensively in France, Benelux, and Germany. He is fluent in French and German. He serves as a Board Member and Treasurer of the Alliance Française de Chicago and is a Member of the Chicago-Paris Sister Cities Committee. Rowan holds an MBA from The University of Chicago and a BA from Princeton University. Barbara has over 25 years of marketing and advertising experience including building sustainable brands, creating effective marketing communication programs, and optimizing organizational effectiveness. Most recently, Barbara led Ford Partners LLC, a marketing consultancy that helps businesses grow through insight-driven understanding of consumers/customers and brands. She was also an SVP at AMG Strategic Advisors and a Principal at Griffin Strategic Advisors where she led the Marketing Strategy practices. Additional experience includes leading Marketing Services for SC Johnson, VP Global Advertising Resources for Kraft Foods, and advertising roles with DDB and D’Arcy MacManus & Masius. Barbara has also served as an Adjunct professor at Kellogg Graduate School of Management, Medill/Northwestern University and U Chicago Graham School. She most recently served as Lecturer International Business & Markets Program at Kellogg School of Management, and currently serves on the Board of Directors of Communities in Schools of Chicago and the Leadership Council of the Civic Consulting Alliance. Barbara earned an MBA from Loyola University of Chicago and a BA in Journalism from Drake University. Kate helps companies innovate and grow based on a thorough understanding of customer demand. Applying insights derived from combining design thinking methods with quantitative research, Kate helps companies determine successful growth strategies. Kate also serves as Director of StartUP FIU Innovation, the entrepreneurial accelerator program at Florida International University, and teaches entrepreneurship classes in the honors college there. She has founded and built companies of her own and also has worked for large multinationals. Kate founded and led a medical software and systems company and also founded and led a science education and environmental media company. Earlier in her career, Kate worked for JP Morgan as a lending officer to nuclear utilities as well as in brand management at Kraft Foods. As founding president of the Dartmouth Entrepreneurial Network in Chicago, she mentored and collaborated with aspiring and early stage entrepreneurs. Kate has served for several years as a judge and company advisor for the University of Chicago Booth School’s annual Social New Venture Challenge. Elizabeth has over 15 years of experience in marketing, marketing strategy, and market research. Her focus is on marketing strategy development and implementation, particularly within the consumer industries. She also has deep experience with qualitative and quantitative consumer research. Prior to Phoenix Strategic Advisors, Elizabeth was an Associated Consultant with Griffin Strategic Advisors, a Manager at A.T. Kearney, a Manager at EDS, and an Account Executive at AC Nielsen. Elizabeth holds a MBA from the University of Chicago Graduate School of Business and a BA from the University of Illinois. Amit has over 10 years of diverse consulting and general management experience developing compelling and successful 3-5 year growth strategies for C-level executives in a variety of consumer facing industries, both domestically and globally including retail, consumer packaged goods, food & beverage, household durables and financial services. Amit has managed the delivery of positioning & value proposition development, portfolio optimization, channel strategy, pricing & promotion effectiveness, category management and new product innovation. 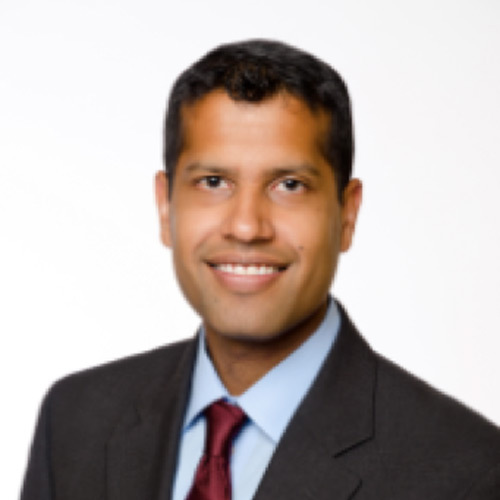 Previously, Amit worked at Griffin Strategic Advisors, AMG Strategic Advisors, and the Cambridge Group. Amit’s degrees include MBA, Management & Strategy, Marketing, Analytical Consulting, Kellogg Graduate School of Management, Northwestern University BS, Biomedical Engineering, Economics, Northwestern University. 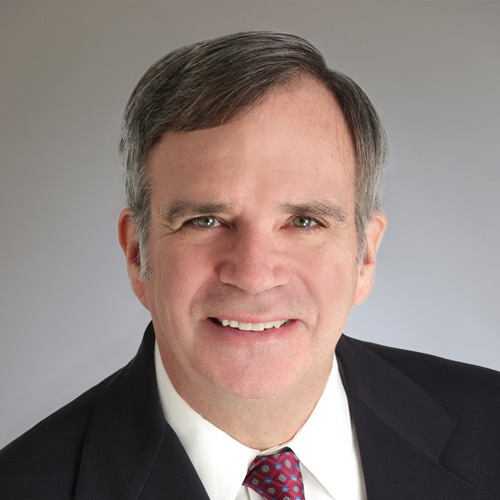 Bram has had a 35+ year career as a management consultant starting with The Boston Consulting Group, followed by senior Partner positions at Booz Allen Hamilton and A.T. Kearney. Bram has served clients in almost all industries in the U.S., Europe, Japan, China and India. At A.T. Kearney, Bram led the global industry practices for A.T. Kearney and EDS Solutions Consulting, and the A.T. Kearney global automotive practice, the firm’s largest account team (General Motors), as well as founded and led A.T. Kearney’s NA Strategy Practice. Bram received a BS in Chemistry from Lafayette College and he also holds a MBA from the Columbia University Graduate School of Business. Pat has over 30 years of experience in the apparel and consumer packaged goods space. Functional experience includes consumer insights, strategic planning, acquisitions and divestitures. Pat has held executive positions at several companies: Hanesbrands: (President of Intimate Apparel, Chief Customer Officer), Kellwood Company Group President, CEO Gerber Childrenswear, EVP Corporate Strategy), Maidenform (EVP Sales and Marketing), Procter & Gamble and Clorox (Sales and marketing positions). Pat has a BA in Economics from Boston University and an MBA from Wake Forest. Donna is the founder of Orender Unlimited, an independent marketing, media, and strategy company. She was a consultant to WNBA Enterprises and served as the President of WNBA Enterprises from 2005 – 2010 and as President of the WNBA beginning in 2005. Prior experience included 17 years with the PGA Tour, including SVP of Strategic Development in the Office of the Commissioner. Donna’s television production career includes ABC Sports and the SportsChannel. 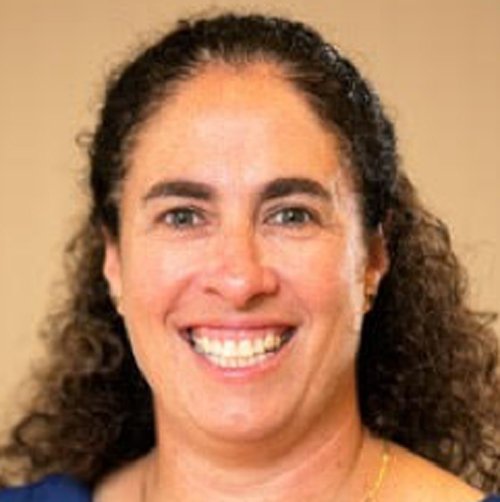 She also serves on the boards of Beth El – The Beaches Synagogue, the Monique Burr Foundation for Children, the Jacksonville Film & Television Advisory Council, the UNF College of Arts and Science Advisory Council, and Maccabi USA/Sports for Israel. She played three seasons in the Women’s Professional Basketball League (WBL), where she was an All-Star and she was an All-American basketball player at Queens College in NY. Donna also did graduate studies in social work at Adelphi University. Janice spent 27 years in retailing, holding store, catalog and direct to consumer merchandising, marketing and operating positions with Sears Holding Corporation. She is currently a consultant and private investor and serves on the Advisory Boards of the Daveler Entrepreneurship Scholarship Program for the Muma College of Business, The University of South Florida and Florida Gulf Coast University. 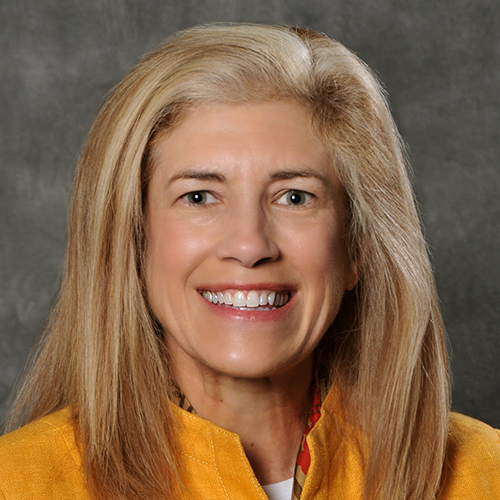 Janice is currently serving on the Board of Directors for American Eagle Outfitters. Past Board Positions have included R.G. Barry, Hampshire Group, Kellwood Company and Glimcher Realty Trust. She holds a BA from Pennsylvania State University. Bob has held a number of C-level positions in the apparel industry over the last fifteen years. He is the former President and CEO of NYDJ Apparel, LLC, the former Managing Director of Smart Shirts, Ltd, the former CEO of Smart Apparel, and the former Chairman, President and CEO of Kellwood Company. Bob has a BA from Middlebury and has completed Advanced Management Programs and the New CEO Workshop at Harvard Business School. Bob is a Member of the Board of Governors of the Fashion Scholarship Fund: He has also held Board of Directors positions at Not Your Daughter’s Jeans (NYDJ), American Apparel and Footwear Association. Harvey is a Board of Advisors Member. A former Chief Executive Officer of Hartmarx Corporation, he has over 45 years’ experience in the apparel and retail industry. Harvey has served on the Boards of Directors of six public companies including Syms Corporation (NYSE); the Kellwood Company (NYSE); R.G. Barry Corporation (NASDAQ); Glimcher Realty Trust (NYSE); Hartmarx Corporation (NYSE); American National Bank, a division of First National Bank of Chicago (NYSE). He also has served on the Board of nine private companies. Mr. Weinberg was the co-founder of The Director’s Workshop, which provided educational programs for Boards of Directors on corporate governance. Harvey has served as a member of the Dean’s Advisory Board of the J.L. Kellogg Graduate School of Management at Northwestern University and as an academic Director in the Executive Management Program. He was also visiting Executive Professor at the University of North Florida Coggin Business School and a member of its Advisory Board. Harvey is a graduate of the University of Wisconsin.